References to other works, including legends and religious texts, are present in all media under many forms. These are collectively known as "Shout-Outs". Short-Lived Big Impact: a common reason they are making a shout out. Also sprach Zarathustra: "Also Sprach Zarathustra", aka "that tune from 2001: A Space Odyssey. Amazing Freaking Grace: "Amazing Grace". Happy Birthday to You! : The birthday song. "Ode to Joy": From Ludwig van Beethoven's Ninth Symphony. "Ride of the Valkyries": The music from the beginning of the third act of Die Walküre, an opera by Richard Wagner. Adam and/or Eve: The Bible. Name of Cain: The Bible. A Saint Named Mary: The Bible. Tannhäuser Gate: A quote by Blade Runner's Roy Batty (which itself was inspired by a legend about the German poet Tannhäuser). The Trope Formerly Known as X: The Artist Formerly Known As Prince, A Fan Nickname for Prince, a singer who changed his name to an unpronounceable love symbol. Good Night, Sweet Prince (Hamlet). As the Good Book Says...: The Bible again. It Was a Dark and Stormy Night: Edward Bulwer-Lytton's Paul Clifford. Klaatu Barada Nikto: The Day the Earth Stood Still (1951). "The Name Is Bond, James Bond": James Bond. You Talkin' to Me? : Taxi Driver. Blood Bath: Almost always used to reference the Trope Maker, Countess Elizabeth Bathory, and characters taking such a bath are usually also named after her. Bond Gun Barrel: James Bond. Chess with Death: The Seventh Seal. Crying Indian: A Public Service Announcement from the Keep America Beautiful organization. Disneyesque: General art style and tone meant to be evocative of the Disney Animated Canon. "The Graduate" Homage Shot: The Graduate. Hockey Mask and Chainsaw: A homage to slasher films that does not come from any specific work, but fuses iconic elements of Friday the 13th and The Texas Chainsaw Massacre. 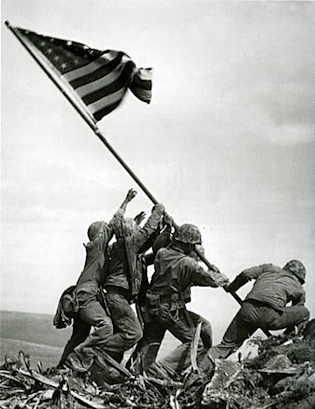 Iwo Jima Pose: The flag planting during the Battle of Iwo Jima ◊ during World War II. Knuckle Tattoos: The Night of the Hunter. Kubrick Stare: an expression seen in some movies directed by Stanley Kubrick. "Last Supper" Steal: Characters posed as in Leonardo da Vinci's The Last Supper. Mission: Impossible Cable Drop: Mission: Impossible. Monty Hall Problem: A puzzle based on Let's Make a Deal. Nighthawks Shot: Scenes referencing Edward Hopper's Nighthawks - either the entire painting or only the setting. Opening Scroll: The into-the-screen variation references Star Wars. Pietà Plagiarism: the Pietà , a sculpture by Michelangelo. Riding the Bomb: Dr. Strangelove . "Risky Business" Dance: Risky Business. Rooftop Concert: Typically done in Homage to The Beatles' final live performance. Sistine Steal: Michelangelo Bunoarroti's painting The Creation of Adam, which can be found in the Sistine Chapel. Spaghetti Kiss: The Movie of Ward Greene's Lady and the Tramp. "Staying Alive" Dance Pose: Saturday Night Fever. The Scream: The Scream, a painting by Edvard Munch. Thinker Pose: The Thinker, a sculpture by Auguste Rodin. Tuxedo and Martini: James Bond. The Bard on Board: A play by William Shakespeare. Charlie and the Chocolate Parody: The 1971 film of Charlie and the Chocolate Factory''. "Gift of the Magi" Plot: The Gift of the Magi by O. Henry. How the Character Stole Christmas: How the Grinch Stole Christmas! by Dr. Seuss. It's a Wonderful Plot: It's a Wonderful Life. May the Farce Be with You: Star Wars. Usually either A New Hope or the original trilogy. Raiders of the Lost Parody: Indiana Jones. Usually Raiders of the Lost Ark. Where No Parody Has Gone Before: Star Trek. Yet Another Christmas Carol: A Christmas Carol by Charles Dickens. Here on TV Tropes, we too like to make Shout-Outs. The following is a list of tropes which are named after Stock Shout-Outs. Alice Allusion: In fiction, a good number of characters named "Alice" are named after the title character of Alice's Adventures in Wonderland and Through the Looking-Glass, and What Alice Found There by Lewis Carroll. Down the Rabbit Hole: Similarly, the eponymous Alice travels to a bizarro world down a rabbit hole. Looks Like Cesare: The Cabinet of Dr. Caligari, although, due to the "Weird Al" Effect, people may tell you otherwise. Looks Like Orlok: Nosferatu, which in turn was loosely based on old folklore accounts. Luke, I Am Your Father: Star Wars. The Mad Hatter: The eponymous hatter in Alice in Wonderland. Star-Crossed Lovers: Two lovers coming from opposing sides of a conflict, like Romeo and Juliet, who were described as such in the prologue.